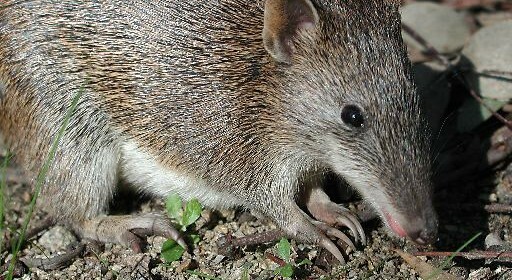 Bandicoots, the problems and the answer. My concern is the survival of bandicoots (SBB) east of Melbourne and especially within the biosphere region around Western Port Bay. This is the site where during the last twenty odd years 95 % of them were lost. 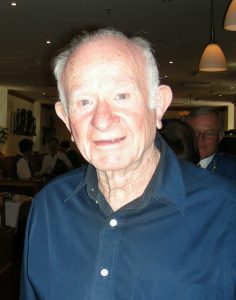 The reason for the loss of the SBBs was the combination of incompetent and unwillingness by the then governments of Department of Environment and Sustainability, and Parks Victoria, failure to properly protect them there. And now, the new Department of Environment, Land, Water & Planning (DELWP) plans to create a large new urban estate adjacent to the Royal Botanical Gardens Cranbourne (RBGC) called the Botanic Ridge & Devon Meadows. This area was previously covered with prime bandicoot habitat land – and now have to be somehow compensated for. Since then. I have attended four workshops with DELWP, SBB experts, public servants and environment consultants, about 25 people per session. I was extremely disappointed that DELWP still insists in the continued use of only narrow corridors as a compensation for the loss of all the SBB habitat. I have earlier explained to them in great detail why these narrow corridors will definitely not be suitable for SBBs. Unfortunately, there seems to be absolutely nothing that I could do to change their mind. They were also not prepared to apply an actual Population Viability Assessment (PVA) to the area. All they did was talk about the use of it, but did not apply it, in order to prove that SBBs could safely survive in these conditions for at least the next hundred years! To me, this looked like 90% of political overbearing and only 10% of environmental input. No way could a PVA pass a test here and neither can artificial and narrow corridors be used for SBBs. I have therefor consistently insisted that SBBs can now only be properly secured within large reserves surrounded by a predator proof fence. There are several such reserves suitable for this purpose such as the Pines, the Langwarrin Reserve and the Briars. SBBs can then be safely protected from dogs, foxes, feral cats and from competition from rabbits. Why has so much gone wrong with DELWP? Is there not one person among them who understands and loves SBBs enough to give them the deservedly highest protection available? I now urge DELWP to urgently carry out their obligation and to put those SBBs safely into some large reserves the same way they are protected in the RBGC. I will be extremely frustrated if this is not done. Only the highest possible protection for them can now do. 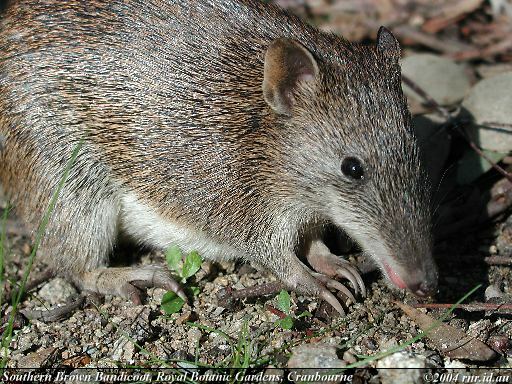 The Bandicoot looks like such a sweet little animal. I read in The Australian Museum Complete Book of mammals that the southern Brown Bandicoot requires 7 hectares, for his territory. That sounds like a lot of land for one creature. And also the have quite a short gestation period, a mere 12.5 days. is that true? I have forwarded your email to Hans and will let you know what he says.